Welcome. We are glad you found us and hope you will find much useful information here about life at Wells College. "Working with students allows me to create a community to share ideas. My role is to model to students how to ask important questions about our shared human experience, and then how to interrogate these questions in a meaningful way." 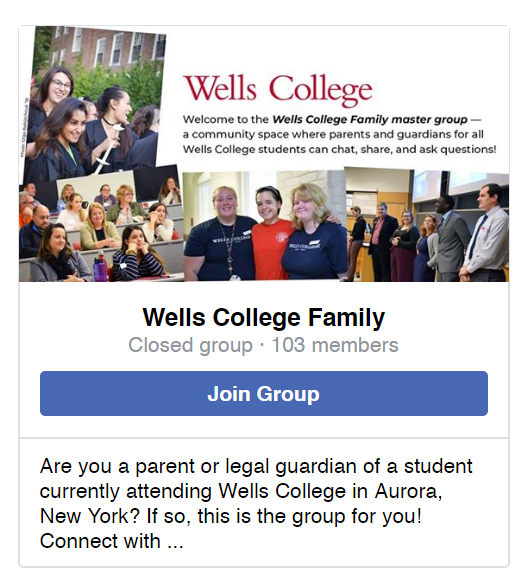 January 17: Classes begin; Spring Convocation at 4:45 p.m.
Join the Wells College Family Facebook group!